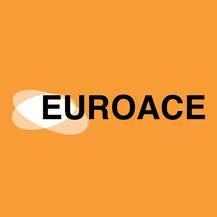 Euroace is a youthful cultural organization based on the eastern coast of Spain. Our Spanish language school has provided +6,000 students, interns and institutions with unique experiences in Spain for more than a decade. We specialize in creating a tailor-made experience, a perfect fit between culture and language, professional experiences and academic education. We offer a wide range of programs that are all made to measure. Each year, thousands of students dive into our culture through Spanish courses, professional internships and academic programs. Spanish Courses | High School Programs | Faculty-led Programs | Internship Programs | Accommodation | Activities | Para españoles | Inglés para entrenadores de fútbol. Our team is made up of professionals with different educational profiles (e.g., Spanish Philology, Tourism, Physical Education, Environmental Studies, Political Science and Business Administration). The knowledge gained in the world of academic and cultural programs provides us with the understanding and experience to offer a unique service to our students. With a supportive and encouraging teaching style and environment, we clearly identify objectives at the beginning of each lesson and course. We look after every detail of the program, both in the appropriate and important development of the services we offer, with support and guidance offered to students in cultural and expected behaviour in a foreign country. We hope to meet the students’ needs, providing them with an enriching and formative experience abroad. Our main objective is the integration of foreign students into Spanish culture and lifestyle. Our headquarters are located in the centre of Valencia, one of the most beautiful and modern Mediterranean cities. Gorgeous beaches, a mixture of contemporary architecture with ancient monuments and buildings, possibly the best climate in Europe and a vibrant nightlife distinguish this top visited city. only excel in reaching their learning goals, but surpass them as well. programs for foreign people, with the length students or institutions demand. -institutions that require a specific program in our city. We organize courses for students coming just in summer: different length, different levels. Valencia - Where Antiquity Meets Modernity. Jam-packed with fun and interaction, Euroace offers students language courses which will leave them fully engaged from the word go. Though the teaching of grammar is a vital part of the curriculum, lessons are heavily focused on the Spanish culture, providing students with not only an immersive linguistic experience, but one that is also rich in the country's vast heritage. Classes are either taught privately or in a group, and by some of the most friendliest and finest professors one could ever meet, whose greatest desire is none-other than witnessing their students' progress. An experience with Euroace is an experience of a lifetime. Don't miss out! Highly recommended. I was looking for a summer internship in Spain, that is usually required in German universities before starting to study. I believe Valencia was the best choise I could have made! Staying at a awesome host family for the hole time, made it easier for me to learn the Spanish habits and the language, since I have never studied Spanish before. I was working these three months at a social media company, having clients like Villareal CF and many more. For a start up it was very good speaking English at work, but once I was more comfortable with the language we usually spoke Spanish. What made my stay so valuable were definatly all the activities, meetings and the great lessons I had. Having private classes at first and later at a language school made me almost fluent in those three months. I really do recommand Eurace for all the effort they put into making your stay special. You will definatly have a trip you won't forget too soon - in a good way! I studied spanish in a group class of only 4 people for about 3 months. We basically had conversations about different topics which is very good to improve speaking skills. Isabel, a very good teacher of Euroace, was always correcting every single mistake of the students (I think it's very important) and could explain things very clearly. I recommend studying with Euroace, besides they offer a lot of spare-time activities. With them it's very easy to get to know new people, places and culture of Valencia. Euroace is awesome!! Best experience throughout my three month stay in Valencia, Spain. If you want to learn spanish, I recommend Euroace. They have the best teachers who are qualified to teach and they definitely make it fun! They also work around you schedule, which makes it easier for me to still able to travel and work at the same time. I learned a lot through the curriculum and quickly learned the basics of spanish. My class was taught by the wonderful Isa. I was in a group class which made it fun and met new people as well! I highly recommend Euroace, best program in Valencia!! I wouldn't use any other program in Spain other than Euroace. They helped in every aspect of the study abroad program, from housing with a host mom to weekend entertainment. They are sure to emphasize that languages include customs and through weekly events and weekend trips it is easy to submerge into the culture. Classroom learning is tailored for each group of students and includes local activities. From the food market to flamenco dancing and even some history lessons, it's hard to be bored in class. Outside of the classroom there's an endless list of things to do and with the assistance of Euroace the best activities are discovered. I chose to participate in everything I could including mountain kayaking, sailing in the Mediterranean, weekend trips to Madrid and Barcelona, and much more. The program opened me up to a culture I didn't know about and was one of the best experiences I've ever had. I had a life changing experience in my short stay in Valencia, Spain. Besides interning in a Spanish NGO, I also had the chance to have contact with a new culture and language. The support given by Euroace was essential for me to feel welcome and to make the most out of this experience. The language course was great, giving me the chance to talk to other students and learn Spanish in a fun, but professional way. I'm very thankful for Euroace and highly recommend them!